I have tasted every wine that Kevin Panagapka, above, has made in Niagara under his virtual banner of 2027 Cellars. His attention to detail in sourcing grapes and making wines in a style that he himself likes to drink has always impressed me. There are a handful of other winemakers/vignerons in Ontario that have lived religiously by the style and standards they have set for themselves and never compromise: Thomas Bachelder, Wes Lowrey (Five Rows Craft Wine), Ilya Senchuk (Leaning Post), Bruno Francois (The Old Third, Prince Edward County), Harald Thiel (Hidden Bench) and Charles Baker, to name a few. All of these winemakers have a vision for their wines and a will to deliver that same vision year after year. They answer only to themselves and resist the urge to cut corners and make wines that they themselves don’t enjoy drinking (even if it means more money coming in). It’s not an easy path to take and not always kind to the bottomline. You are at the mercy of consumers who appreciate fine wine in a style (and often price) that is not always mainstream. All of the wineries above have carved out a nice little niche in Ontario (and beyond, in the case of Bachelder) with a a dedicated following of trusted consumers willing to go along for the ride. In the case of Panagapka, he has built a portfolio on outstanding vineyard-specific Rieslings, Chardonnays and his beloved Pinot Noirs. It’s the combination of the best fruit, the finest oak (his favourite is Tonnellerie Sirugue French oak) and an uncompromising winemaker style that makes the wines from 2027 Cellars so appealing, even when Panagapka changes his vision in mid-stream. In 2011, he completely reversed the direction he wanted to take with his Pinot Noir regime. Instead of pretty, delicate Pinots, he changed the program to offer a more meaty wine with grip and aging potential. These are the kind of Pinots Panagapka likes to drink. He’s more in love with the Chambertin style from the Cotes de Nuits in Burgundy. He likes wines that develop in the bottle, revealing themselves over time as all that fruit, wood spice, tannin and acid harmonize. 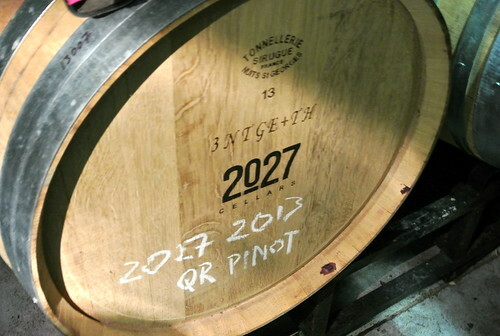 Tasting barrel samples of his 2013 Pinots you can see taste the muscular, masculine style that is emerging as the new 2027 personality. He’s upped the oak from 20 to 40% new wood and is aging the wine for 18 months in (different) barrels to acquire the structured oak tannins he wants. Panagapka bottled three new wines this spring, the 2012 Cherry Ave. Vineyard Pinot Noir, the Wismer Vineyard Fox Croft Block Chardonnay 2012 and something new for 2027 Cellars, a wonderful, traditionally-made sparkling wine sourced from the Queenston Road Vineyard and made with zero dosage. 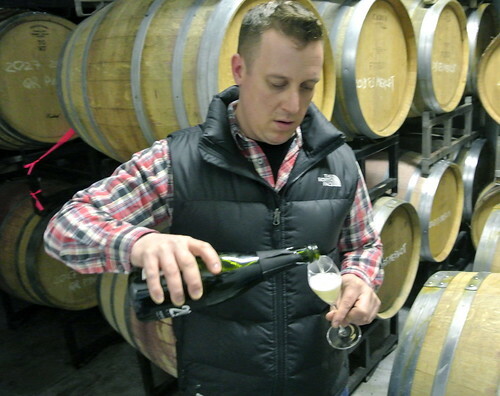 His “Brut Nature” bubbly, which means no sugar was added to the wine after disgorgement, is a fabulous example of this style of pure sparkling wine made with 40% Pinot Noir and 60% Chardonnay. Panagapka co-fermented the base wine and put it through partial malolactic fermentation to soften the acid on the palate. The wine was aged on the lees for 24 months to add complexity before release and was disgorged in early January. “I decided not to add sugar to the ‘dosage’ as I felt the wine did not need it,” says Panagapka. 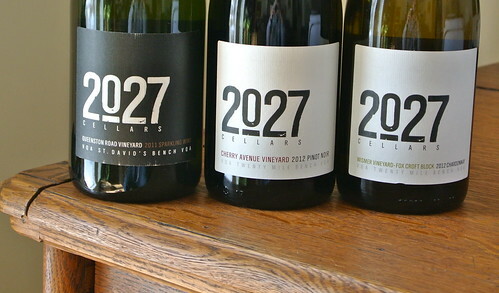 Here are the three new wines from 2027 Cellars now available for sale only through Panagapka’s website here for the next month or so. After that, the virtual winemaker is embarking on a new path, and the details of that exciting new change in direction will be announced soon. 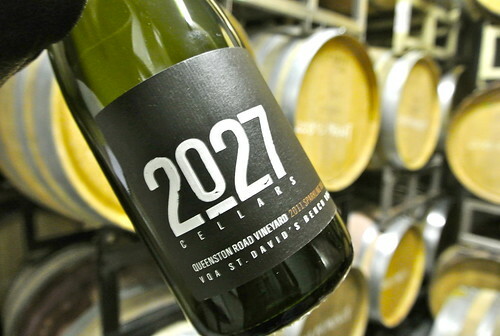 Hint: His brand 2027 Cellars will live on. 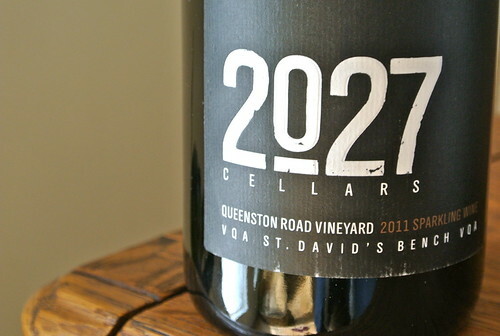 2027 Cellars Queenston Road Vineyard Sparkling 2011 ($30, 93 points) — One of the finest sparkling wines I have tasted from Ontario (though I am a huge fan of zero dosage bubblies). As mentioned above, it’s a 40-60 Pinot-Chard co-fermented blend that sat on the lees for two years with partial malo to “soften the acidity.” This is old school sparkling wine with a clean, fresh and pure nose of grapefruit, citrus, vanilla toast, biscuit and fresh-squeezed lemon-lime. The palate shows a tight, vigorous mousse and lovely citrus-lime-lemon and tangerine fruits that are carried on a laser-sharp beam of acidity. The pristine flavours echo endlessly on the finish. You want more. Simply add oysters and enjoy. 2027 Cellars Fox Croft Vineyard Chardonnay 2012 ($30, 90 points) — This is the second release of Chardonnay from the Fox Croft Vineyard. The 2012 vintage was quite dry and warm, producing rich Chardonnays. This Chard is 100% barrel fermented with wild yeast strains and aged in 30% new French oak barrels (Allier and Never forests) for 12 months. This is elegant and tight on the nose with poached pear and light spice on a vanilla-toast pillow. The fruit is wrapped in gorgeous French oak, waiting to emerge and unfold. The pear, apple fruits with hazelnut, spice and minerals reveal themselves slowly on the palate. This needs time and has the stuffing to evolve into a more rewarding drop in a year or two. 2027 Cellars 2012 Cherry Avenue Vineyard Pinot Noir 2012 ($30, 91 points) — This is a new Pinot Noir vineyard for 2027 Cellars, located in the Twenty Mile Bench sub-appellation. It is fermented with wild yeast strains in five-tonne stainless steel fermentation vats and aged in French oak for 12 months (30% new oak). While Panagapka is moving toward a more meaty style of Pinot, this is a more feminine expression due to the higher elevation of the vineyard, he says. Feminine might be a bit of a stretch, as this lovely Pinot shows some wonderful earth and bramble on the nose to go with black cherry, cassis, currants and spice. The oak is integrated on the palate but not overpowering enough to hide the vein of minerality and array of red and dark fruits. It’s an elegant wine, with a dark side, and built to age gracefully. Dosage — Sugar added to champagne after disgorgement, either through a liqueur d’expédition, which is a solution of cane or beet sugar and wine, or MCR, concentrated and rectified grape must. The dosage is usually a crucial component of champagne, as it balances the naturally high acidity of the wine and plays an important role in the aging process. The level of dosage determines the category of champagne (i.e. Extra Brut, Brut, Extra Dry, Demi-Sec, etc. ), and the majority of champagnes today are dosed as brut, between 0-15 grams of sugar per liter, with an average dosage in Champagne estimated at around 10-12 grams.